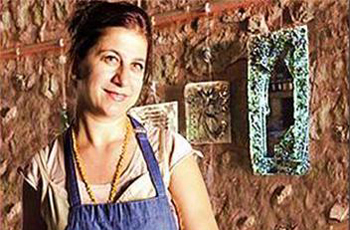 Tea Glass is designed and hand made by the artist, Yasemin Aslan Bakiri. 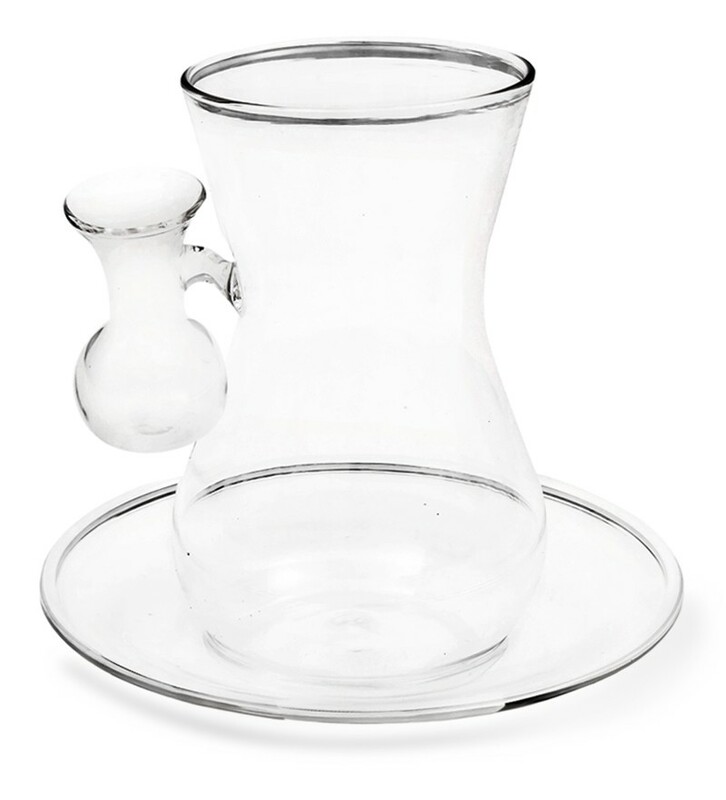 The glass is shaped freely with the help of blow tube and other instruments without the use of mould. 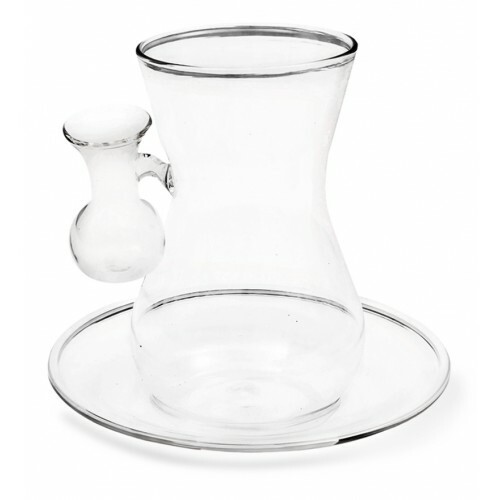 Dimensions: Width 8, Length 10 cm, diameter 6cm.